It can get really frustrating and annoying if you have booked a taxi only to find out it cannot accommodate your wheelchair. At A1 Mercia Taxis Hinckley we make your life much easier by taking extra precaution for the wheelchair users. We’re always a reliable partner when it comes to the support we provide to the customers on wheelchairs. When booking your taxi, please mention that you require wheelchair access – and we guarantee you’ll be impressed with the service A1 Mercia Taxis Hinckley provides to you. 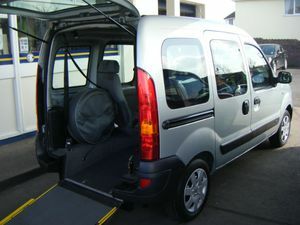 We often find that wheelchair and disabled taxi customers each have different and specific requirements and needs. Please discuss your requirements with us before booking so we can deliver you better service.